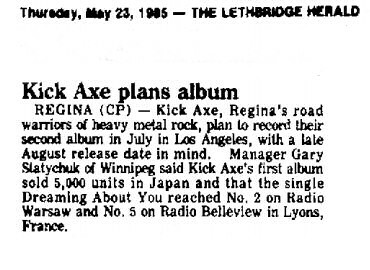 Manager Gary Stratychuk of Winnipeg said Kick Axe's first album sold 5,000 units in Japan and that the single Dreaming About You reached No. 2 on Radio Warsaw and No. 5 on Radio Belleview in Lyons, France.